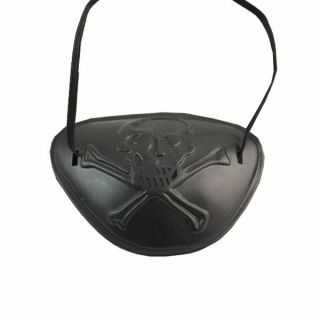 Made from hard black plastic with embossed skull and crossbones. Where the teeth of the skull are shown, there are tiny holes. These holes enable you to see through the eyepatch and makes it easier to wear.